Three drawers make this night stand perfect for storing you nightly reading materials. 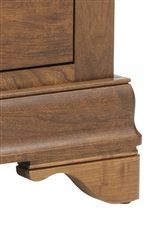 This piece features a unique design of two drawers with one hidden drawer in the crown molding and is constructed from solid hardwoods for quality that will last. 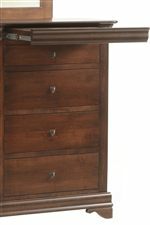 Create a beautiful bedroom with the addition of this night stand. Hardware and finish options let you create a piece that is perfect for your room and your style. 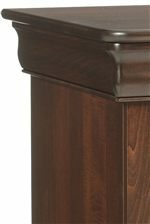 The Versallies Night Stand with 3 Drawers by Millcraft at Saugerties Furniture Mart in the Poughkeepsie, Kingston, and Albany, New York area. Product availability may vary. Contact us for the most current availability on this product.